Whiskey, wildcats, dungeons, dragons, and what your shoes say about you. 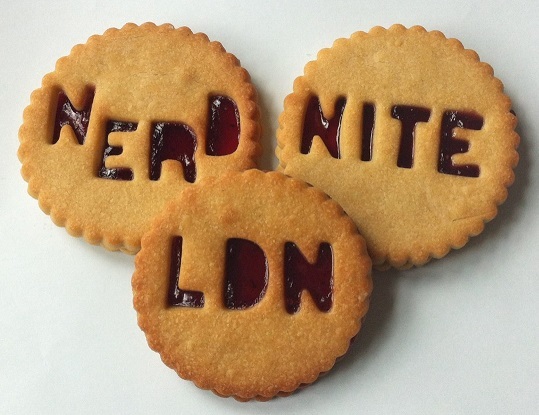 Join us for another excellent nerd nite, with three nerds share their love for a subject, while the audience drinks along. In this presentation Lucy will discuss the decline of the Scottish wildcat, and how whiskey distilleries with wildcat populations should be sponsoring them. She’ll be talking about the historical importance of the animal, as well as current conservation threats. Lucy Eckersley is a wild animal biologist and science communicator, currently working with the Royal Veterinary College. What are people telling you about themselves before they say a single thing? Personality is implicitly reflected in the cues we communicate, consciously and subconsciously, to the world. For example, people can guess, to an 80% accuracy, if someone is an extravert from seeing a picture of their face for 100ms. By connecting these cues to dispositional behaviours, you can read a person’s character from their gestures, clothing, tastes, and so on, and use this to make inferences about how they’ll act in business and in pleasure. Patrick Fagan is a consumer psychology lecturer, author and practitioner with nine years’experience helping businesses like Diageo, eBay and Vodafone practically apply psychology science. He has run and published research on personality – for example, finding that Machiavellian people are more likely to vote Trump, that personal assistants are more conscientious and emotionally stable than the general population, or that open people prefer more complex music. Patrick asks that you call him Pat, because research shows that shorter names are seen as more popular and warm. Will playing Dungeons and Dragons make me a murderer? Steve Cross has recently started playing Dungeons and Dragons for the first time since he was a impulse-obsessed unpleasant teenager. Will playing make him discover unpleasant things about himself? Ever since the 1980s lots of people have believed that rolling dice and casting spells makes us into satanists, killers and outcasts. But is it true?